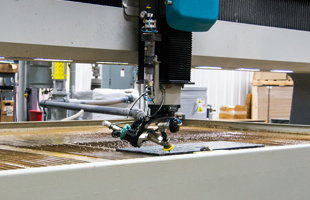 Alro can waterjet cut up to 8" thick pieces in a single pass, depending on material. 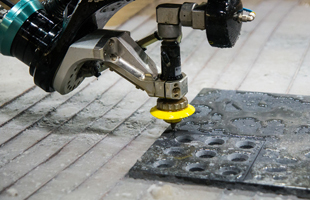 With a very narrow kerf line, waterjet cutting allows for tighter nesting than other methods. 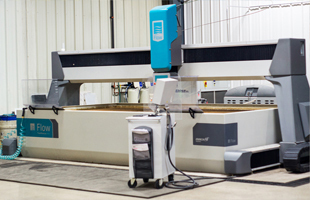 With a 120" x 240" maximum plate capacity, Alro can handle almost any waterjet cut job. >6" to 8" thick (+/-.031") < 1/2" = .125" dia. 1/2" to 1" = .250" dia. >1" to 2" = .500" dia. >2" to 3" = .750" dia.